DiMarzio pedal coupler cables are so rugged and durable that they carry a lifetime warranty. This jumper cable pedal coupler has 1 straight and 1 right-angle Switchcraft end, each encapsulated in super-tough thermoplastic resin that permanently bonds the plug to the cable. Recognizing the need for a short jumper version of its famous guitar cables, DiMarzio now offers these professional grade cables in lengths that work for guitar effects pedals. 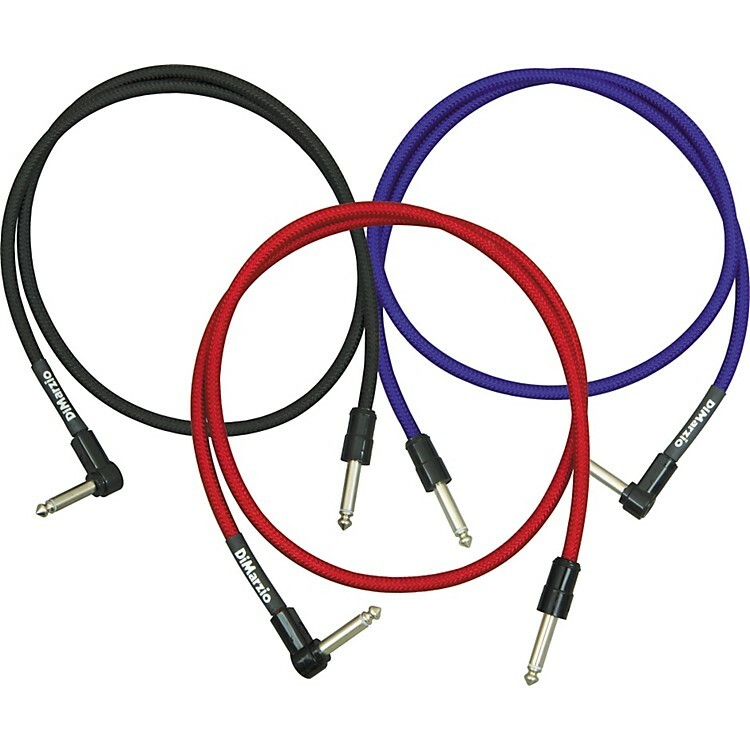 These pedal couplers use the same U.S.-made nylon overbraid cable as in DiMarzio standard guitar cables, delivering maximum signal transmission and minimum high-frequency loss.